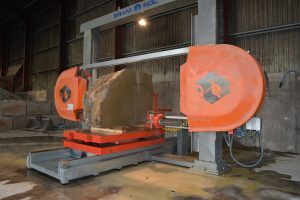 At Armstrong Group we have a range of products and services, that allow for us to create bespoke and unique cut stone for any occasion. Our dedicated stone masons hand and machine craft our stone to your exact specifications, creating bespoke stone for a bespoke home. A report dated February 2018, published by the BBC, highlighted that First-time house buyers were at an 11 year high. This signalled a rise of 7.4% in first time buyers compared with 2016. This means that there were 365,000 first time buyers in the UK in 2017, the highest number since the financial crisis. The numbers highlighted in the BBC report are a shift in the right direction for the housing market. Over a quarter of a million people are now looking to make a home in their new property. The Armstrongs Group firmly believe that unique bespoke and tailored furnishings and products add the little touches you need to stamp your personality on your house. Our company is family owned and run in a physical and metaphorical sense. At our core, we have the Armstrongs family- who are hands on and a part of every aspect of our business. Then you have the staff- most of them are hired locally- who are welcomed into the family with open arms. There is a real sense of community (you can read how important community is to us here) that harvests a unique and positive attitude across our 6 sites. This unique ethos that runs through our business allows for us to provide the best service possible to those looking for that personalised touch. From our family to yours. 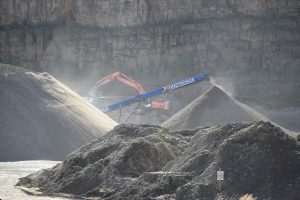 At the heart of our business are our quality aggregates. At this point it’s worth pointing out that all our products come from our own stone in our own quarries. The majority of our aggregates are available as sandstone/gritstone and Granite. They range from 0-2mm all the way up to Rock Armour. Our 4mm-20mm aggregates are suitable for concrete production and are used in our AMIX Concrete mixing plant, as well as being used on driveways and paths. We know that any good structure needs a foundation to build on. Our 75mm crusher run aggregates are perfect and are ideal for back fill and trench fill sub base. This allows for your home to be built on solid foundations. Away from aggregates we also offer cut stone and dimensional stone services. This is where the true bespoke nature of our work takes places. Dimensional Stone is popular product we provide; our finest durable stone is to cut into any shape and size. We can create stone slabs, stone bricks and more to literally supply the building blocks to your new home. A tumbling machine that gives our stone amazing rounded edges for a more bespoke finish is also available. Our Cut stone serves use a range of fixed blade and wire saws that enable our stonemasons to supply an extensive range of architectural stonework including Window Cills, Lintels, Fence posts and Door Surrounds. All of our work is bespoke to your requirements, and we are involved in many of projects ranging from refurbishment and renovation to new build. One of our favourite types of cut stone products are our stone signs. 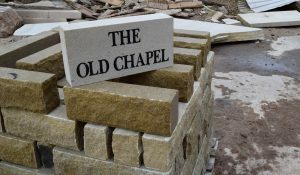 The stone plaques are a special way of christening your property and range in all shapes and sizes. Customers can buy anything from corporate signage to individual hand crafted home naming slates. There is something fascinating about watching how the rock in our quarries is blasted. It is then collected by our excavators and transported to our stone masons. From there is it transformed into works of art, that are hand finished and crafted with utmost care and precision. We truly believe in the smaller details that give you that personalised feel of bespoke tailor made products. Other challenges we have undertaken with our cut stone services are garden furniture and statues big and small. 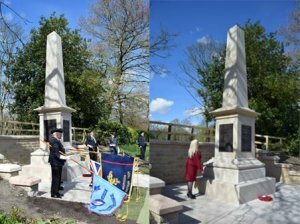 We recently donated a bespoke monument to Queens Park, in Bolton; to commemorate the fifth battalion of the Loyal North Lancashire. It was unveiled by Lord Derby and honours the 1,060 members who fell in both World Wars. Contact us today to see how we can tailor make bespoke crafted stonework for you and truly make your house a home. A number of our amazing account team are braving an 11 Mile walk from Arnside to Kents Bank across Morecambe bay to raise money for Macmillan Cancer Research UK. The walk – which starts at 9am on Saturday 1st September – will see members of our team don their boots and wellies as they battle against the weather conditions, the tide and sand dunes to raise money for a brilliant cause. We are incredibly proud of the amazing women who are taking part in this walk and wish them luck with such a potentially gruelling walk. You can donate to their cause HERE! Here at Armstrongs Group, across our Armstrongs Aggregates and AMIX Concrete sites, we believe that if you invest in people that they will invest in you. Our company values: Safety, Responsibility, Customer Focus, Team Orientated, Performance Driven and Entrepreneurial echo more than just hollow words on a page, they are our way of life. They cover a wide variety of differing factors but ultimately aggregate to one thing, Community. As our brand and social media channels grow, we want to use our position in our communities in a positive manner. We want to help shape and build our local communities, sharing our knowledge and expertise where possible. 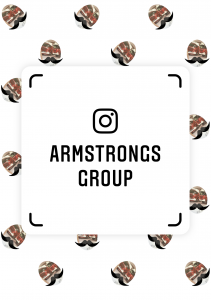 Teaching, learning, and acting within our communities to provide support and understanding to those in our local areas, Armstrongs Group are dedicated to being Community Strong. The importance of community cannot be understated, whether it is in the workplace, in academic institutes or in your neighbourhood; there should always be a sense of community and belonging. The Armstrongs Group has five quarries across the North West and Cumbria, as well as our head offices in Horwich, we are implanted in the centre of many a community, and we want to be a part of those communities. We may be a company that works in quarries, producing aggregates, ready mix concrete and bespoke cut stone, but we still have a duty to our communities and welcome people to come and see how we work. Our iconic red wagons are easily identifiable and we often get enquiries from the public about coming to see them. Occasionally we offer academic and community trips to our quarries and have welcomed everyone from schools to geologists, providing an educational and “behind the scenes” visit for all age groups. For more information on visits to one of our sites or information on how we can assist further in our local communities you can email us on enquiries@armstrongsgroup.com. 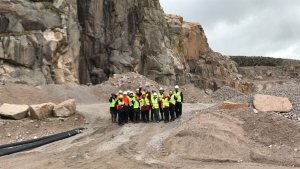 Armstrongs Group were pleased to welcome experienced Geologists to our Shap Quarry in Cumbria, on Friday 17th August 2018, for a tour of the site. 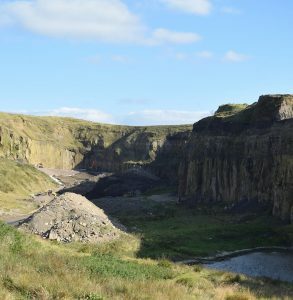 Shap Quarry covers 53 acres near the village of Shap and has been operation since 1950. It is the home of Shap Pink granite, a widely used decorative building stone. 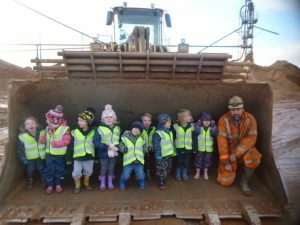 Armstrongs Group is dedicated to the inclusion of educational and community visits to all of our sites and quarries and welcomes enquiries all year round. Keep up to date with all our community visits and much more on Twitter. The Armstrongs Group Have Gone Social! You can find us on Twitter, Facebook, Instagram and LinkedIn- meaning you can keep up with all our latest goings on wherever you are! Alternatively scan the code below on Instagram to follow us!